Well I might have just lost it on this one. I really don’t know why I do these things other than because people tell me I shouldn’t. This build idea is one I had for awhile. I saw a paddle at an outdoor market and the wheels began to turn. 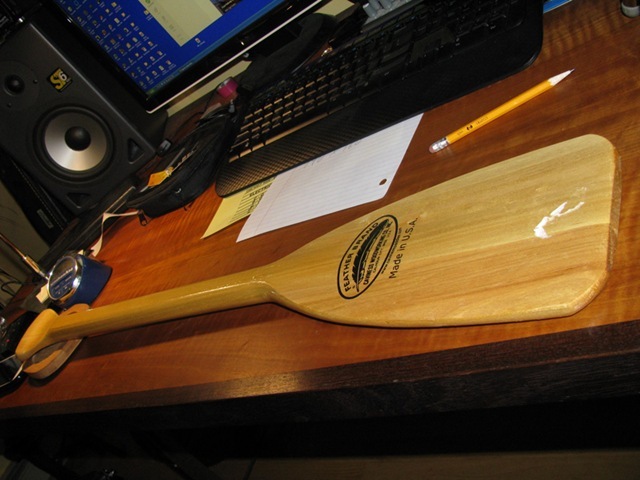 That one was too long but a quick search on Amazon, and I found this 30” paddle. Turns out it is too narrow to make the 3 string I wanted out of it but why not. Lets experiment anyway. Consider it a practice run. 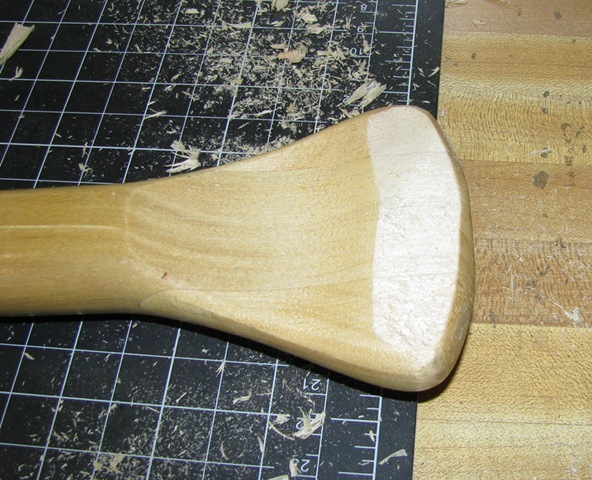 I’ll probably make the next out of maple anyway rather than try to find one the right size. First step I needed to shave down the top of the handle a bit so that I could run it through the plane and get it to run square. I did this with a #5 hand plane. I’ll finish the head flush later. Next I ran it through the jointer planer. Didn’t like not using the guard but I did have blocks with handles to run it through and protect my hands. 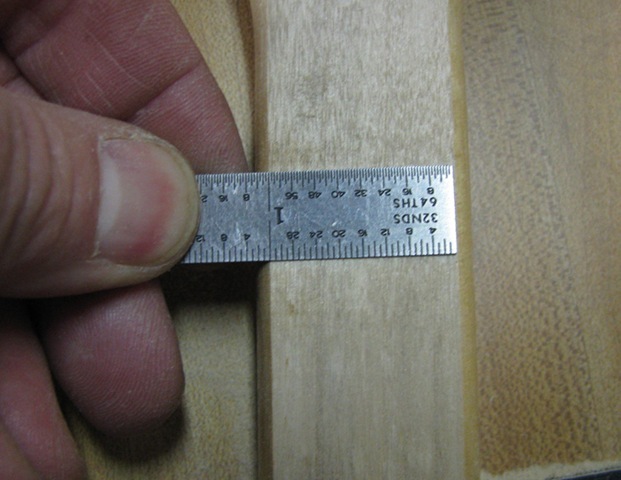 As I suspected, I could only get an inch wide for the fret board. This is going to be a real odd experiment as a two string. 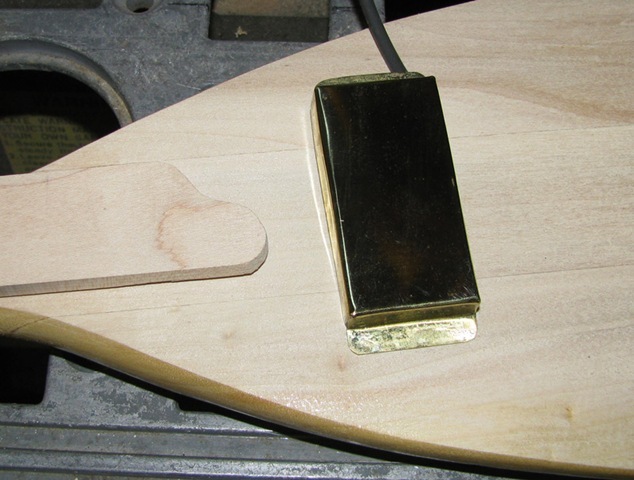 It is going to be fretless with a maple fret board. I began going through my tool draws looking for what I have for hardware. A couple of left over machine heads from a previous build, and some bone for the nut. I’m thinking hardwood with a piece of brass rod and a brass tail piece and this is small early prototype pickup I built that has been kicking around my tool box drawer. 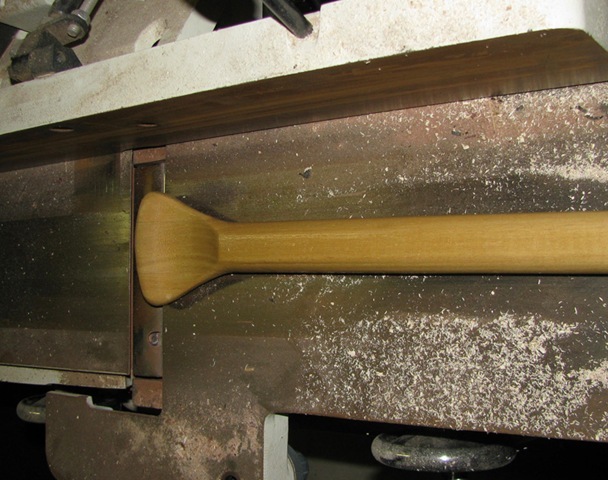 I had thought about using tele saddles and stringing it through the paddle but it is not thick enough. Going to be a challenge to install a jack. 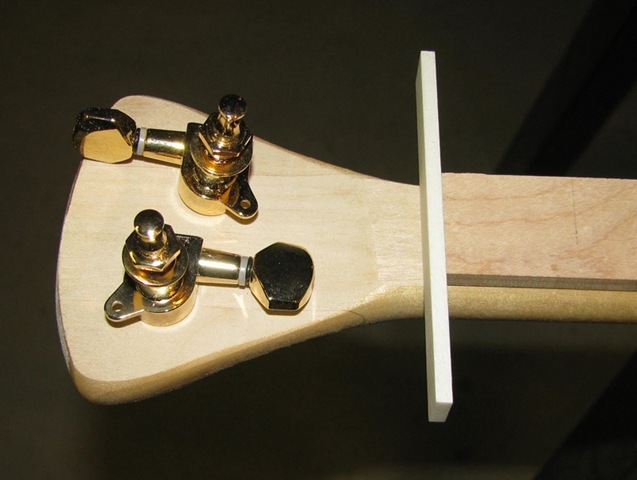 Alright, time to spread some glue and clamp the fret board on. Clean up the glue that spreads out with pressure using a damp paper towel and in this case, I used a small width chisel to scrape right into the seam. Will help a lot when it is time to sand. 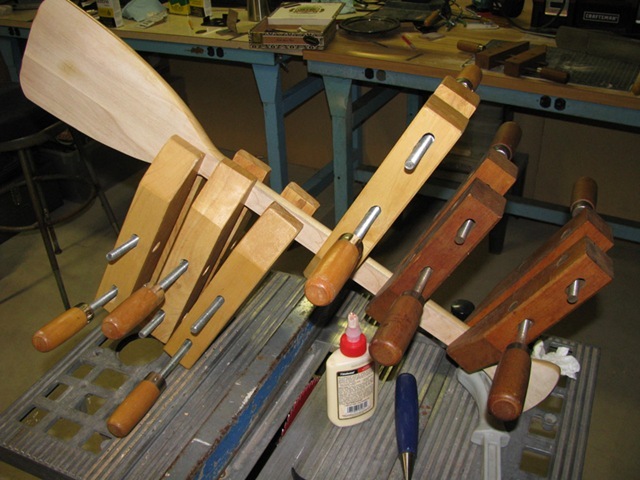 I’ll let that set over night and remove the clamps in the morning. This could be a fun instrument. It is just the right length, is light and feels proportionally right.